Practicing what you plan to say in your college interviews is extremely important, but planning your outfit is almost just as important. You definitely don’t want to give the impression that you spent more time on your appearance than you did on your portfolio or on preparing for what you might way, but you do want to look like you gave your outfit ample thought. After all, while appearances may not be everything, they count for more than most people would like to admit. That’s why you need to know what you’re wearing to your interview well in advance. 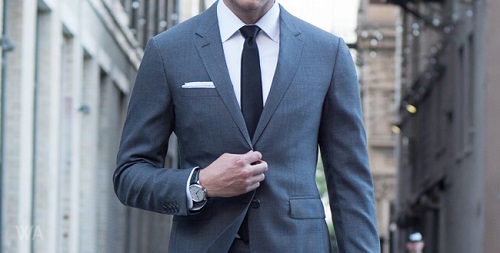 Here is how to dress smart for your college admissions interview. There is nothing more uncomfortable than wearing ill-fitting clothes to a high pressure interview. You shouldn’t be adjusting your clothes periodically throughout the conversation and you don’t want to be worried about stains or holes being exposed. You also want to make sure that you’re not allergic or sensitive to any of the materials in your clothes either. The last thing you want to have on your mind is a terrible itch that you just can’t scratch. If you have long hair, you want to make sure that you find a way to pull it up out of your face. If you decide to try something new with your hair, then you want to make sure that you practice a few times before the day of the interview. Not only do you want to make sure that it holds steady throughout the day, but you also want to make sure that you aren’t too stressed out trying to figure out what to do with it the morning of. You can find all kinds of style tips and tricks online and you should start playing around with them for a few days before your interview. No matter what you decide to wear, you want to keep it classy. You should look clean and professional, and that means nothing too casual, and nothing too provocative. Just because you are aspiring to wear an artist’s smock in the studio most days at Maine College of Art doesn’t mean that you don’t need to dress up for the interview. People always say that you should dress for the part that you are interviewing for, but just because you can study in your pajamas if you’re a student at USC Online doesn’t mean that you want to wear pajamas to the interview. Get the idea? Once you do have your whole outfit put together, you want to think about the kind of posture your outfit will demand. If you are wearing a skirt, you will need to keep your legs crossed and sit closer to the edge of your chair. If you’re wearing a blazer, make sure to unbutton it before you sit down so that you can breathe easy.